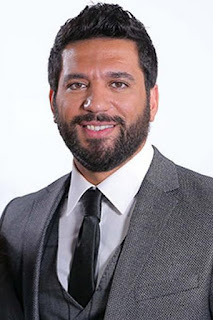 Hassan Raddad, an Egyptian actor, was born on 1 May 1984 in Damietta, Egypt. Full report on the life story of Hassan al-Raddad, biographical information from Wikipedia and the latest news. Date of birth: 1 May 1984. Place of birth: Damietta, Egypt. Wife: Amy Samir Ghanem (Egyptian actress) (2016 now). Hassan al-Raddad was born on 1 May 1984 in Damietta Governorate in Egypt. He is descended from an artistic family, where he is the artist Nabil Raddad. Graduate of the Faculty of Commerce, Cairo University, and graduate of the Institute of Performing Arts Department of representation. Participated in more than a film and television work was the latest series «Community», which began its presentation in the beginning of Ramadan in 1431 - 2010. A role in the name of (the middle son of Saad al-Dali) in the series Aldali point of departure for him. He also had a great success in the role of the front-page journalist Karim in the film Ahi Shahrazad. Hassan al-Raddad married Egyptian actress Amy Samir Ghanem in 2016.